No need to explain that title is there? I’m playing along with a few challenges today. My background is a piece of designer paper that’s been pulled through some Distress Paints, dried, distressed, stenciled, and then I added more gold using some foil sheets. As I’ve said lately, I’m a little totally obsessed with gold. The butterfly has been painted with gold paint and then I added mica flakes, glass glitter, and some beads. The same treatment was used on the flowers and the chipboard sentiment. 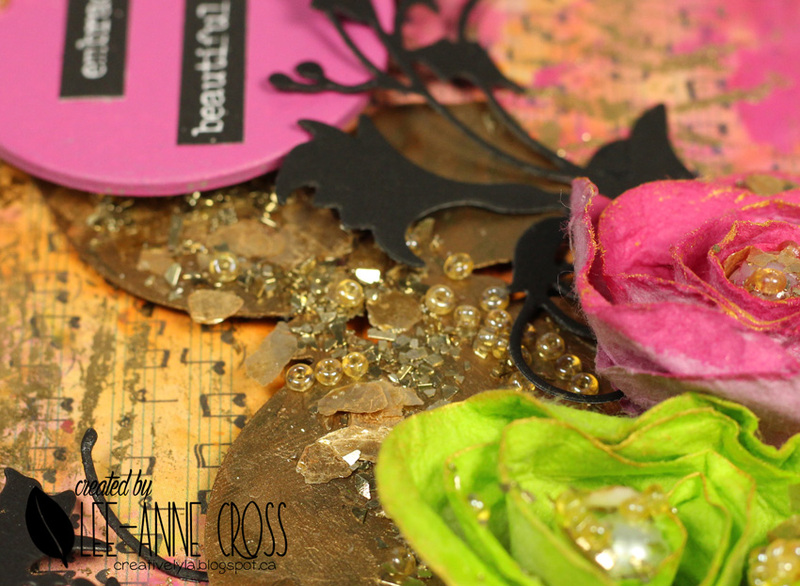 Some die cut leaves in black and Tim Holtz Small Talk sticker complete the card. This is beautiful! I love your colors and texures! GORGEOUS!! This just exploded off my screen with all those delicious bold colours! Love those flowers, and that metallic butterfly has totally stolen my heart! So beautiful!! I do hope you will enter this into our Crazy for Colour challenge at Anything But Cute…you have a couple days yet to get it in. Well it certainly is bright but it is also really, really beautiful! Love the butterfly and those gorgeous flowers! Bold, bright and beautiful! Love your gorgeous flowers and that awesome butterfly! What a happy project with that great combination of bright colours. Thanks for joining us at Anything But Cute. This is lovely! The colors are so vibrant! 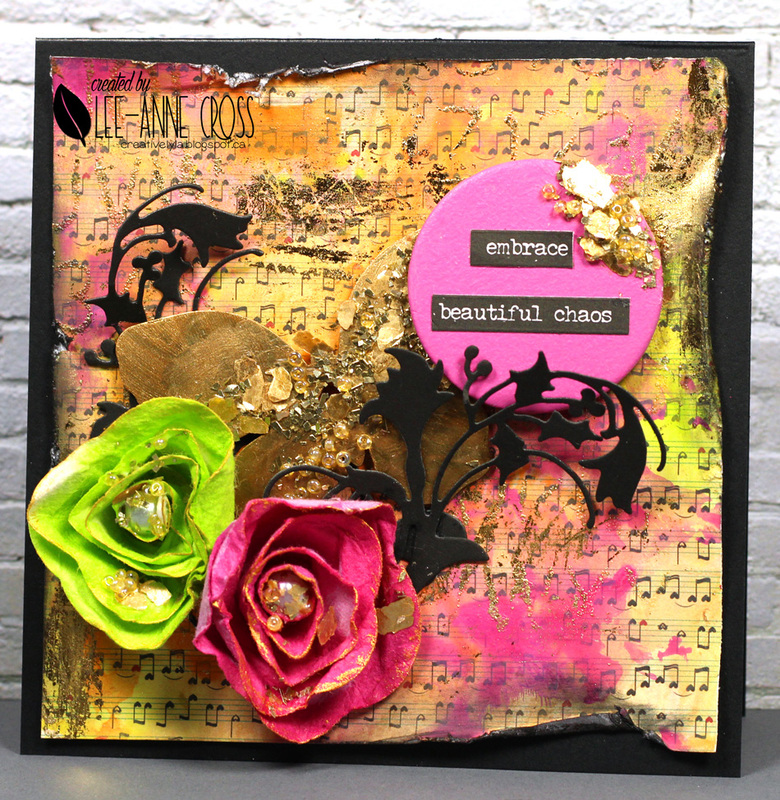 Thanks so much for playing along with the Simon Says Stamp Wednesday Challenge!